Most people do not realise that many things they do in their day-to-day life will result in a bunny getting a proverbial boot to the face — no, sorry, a literal boot, claw, paw, etc., to the face; its big, brown-eyed, bunny face. The bunny cannot fight back beyond gnawing savagely at a lettuce leaf in the direction of its attacker, so it just takes the punishment as its due and hops away hoping it won’t repeat whatever it did to deserve the kick. A bunny will always assume it deserved the kick. Well, my z-using zealot, I can help you out by telling you some of the things you do each day that may cause bunnies to be kicked. With this knowledge, you can save some big, brown eyes from becoming puffy, black ones. Who doesn't like a nice hot cup of coffee to kick-start (pun partially intended) their day? Right? The smell of freshly roasted beans, the flood of warmth that spreads over your body from that first sip. Now that most coffee manufacturers claim their beans are “Fair Trade”, what could be wrong with a cup of jobe sourced from coffee farmers who were paid fairly? Everything. Everything could be wrong; if you think a fluffy bunny getting a swift kick to the chops is wrong, that is. The cutest bunnies known to man live under coffee bushes eating the caffeinated berries so that they quiver slightly when we look at them. Often, when farmers are harvesting their coffee crop, a bunny will be attached to a bunch of picked berries. If the farmers allowed themselves to go weak-kneed and mushy over these balls of fluff, they would never get any work done, so as soon as they see a bunny now, they kick it. As far as they can. Many coffee plantations have an annual bunny-kicking contest to see who can kick bunnies the furthest. Smoking. Whether you find it disgusting, stress relieving, cool, it doesn't matter. If you want to have a smoke, you should be allowed to, right? Wrong! If you are going to smoke, choose your location wisely because your smoking could be responsible for a bunny being treated as a football. Kittens absolutely hate passive smoking. 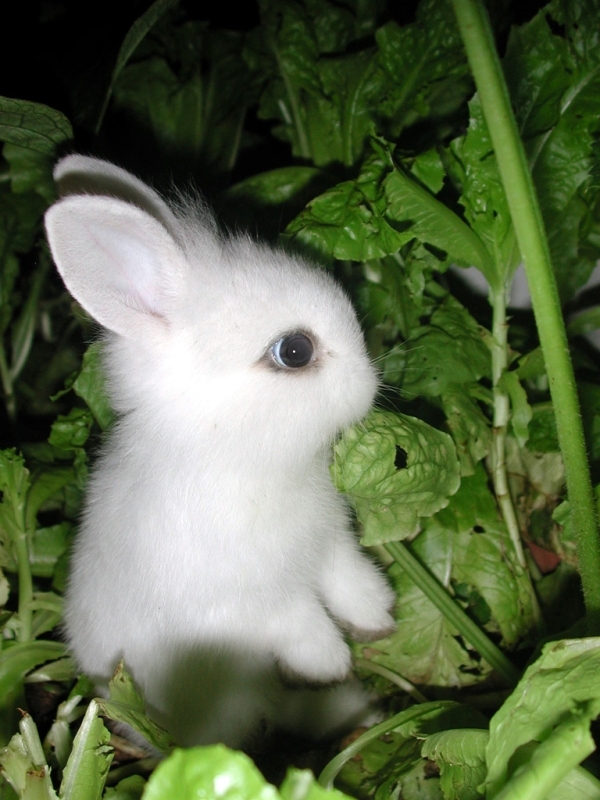 If even a hint of your second hand smoke reaches the tender nostrils of a kitten, it will fly into a fit of rage, hunting down and kicking the only thing cuter than a kitten: a bunny. Kittens will also kick puppies and baby hedgehogs if no bunny can be found, but that is a completely different tutorial. Smiling at male monkeys. We've all done it before, visiting the zoo, watching the crazy monkeys toss faecal matter at each other or pick nits out of each other’s hair — they’re hilarious. But laughing and smiling at those monkeys can have bunny-kicking consequences. Female monkeys are hideously jealous creatures. They see us humans, one step along in the evolutionary process, smiling at their male kind and assume we’re trying to steal their mates. They cannot jump out of the cage and rip us to shreds as they would like, so instead they grab nature’s punching bag and give it a kick. Monkeys can form a fist so the poor bunny might cop an absent-minded beating for hours on end while the female monkey glares at us mirth-filled humans. So, try to avoid smiling openly at monkeys. Tickling rabbits. Rabbits are ticklish; who hasn't grabbed a rabbit on occasion and started giving it a good ol’ tickle? Well, tickling rabbits is bad for bunnies. Obviously, rabbits are haggard, older bunnies who have been kicked from the day they could look doe-eyed, and tickling them just enrages to the point where they go home and kick their bunny children out of their bunny homes and into the big wide world where a kick waits around every bend. This is certainly not a comprehensive list of the circumstances that will lead to a bunny getting kicked in the nose, but they are probably the most common things you can look out for.